Born and raised in the Boston area, Barry has resided in Boca Raton since 1981. His varied and exciting business career began as president of Halco industries an investment company and toy wholesaler in the New England area. He moved to New York in 1975 and with his father became the second largest shareholders of the Rapid American Company and became vice president of McGregor sportswear and Botany 500 clothing companies as well as running his toy business with offices at 200 Fifth Avenue. After taking control of Keystone Consolidated Industries, a major steel company in Peoria Illinois the family sold their holdings and relocated to Boca Raton in 1981. Shortly after, the family acquired Empire of Carolina an AMEX listed company and Barry became president and ran the operating toy company which manufactured the Big Wheel tricycle and many other items in North Carolina, met and was supported by Sam Walton of Walmart and his company awarded as a vendor of the year. Later after brief holdings in The Deltona corporation in Miami, Empire acquired the Isaly Klondike Ice Cream company, Popsicle of Canada and Wilbur chocolate and became one of South Florida’s top 10 companies. 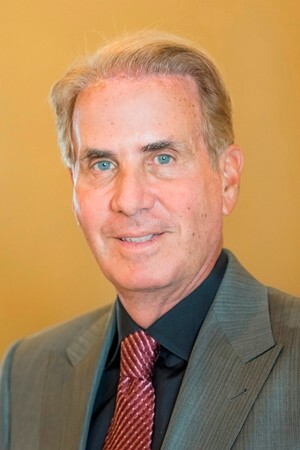 Barry today is co-owner of the Century Village Pembroke Pines Recreation Center, trustee of several family Trusts and Co Trustee of the Halperin Charitable Foundation. He is a past board member of Temple Beth and major supporter since 1983 and active in the current renovations – current Board member of the Unicorn Children’s Foundation and sponsor – founding member and major supporter of the Kravis Center, sponsor at Bnai Torah Congregation and Florence Fuller Children’s Center – current board member of the Aragon Condominium and former Vice-President of Mizner Grand in Boca Raton. His is responsible for the restoration of the historical Highlands North Carolina playhouse and has supported student scholarships at both FAU and University of Miami as wall as numerous local and national charities. With his wife Silvana, they summer in Lenox, Massachusetts and are supporters of Tanglewood, Jacobs Pillow and the Montessouri school. But his greatest joy is time with his family and he is blessed to have in Boca Raton his mother Dorothy, sister Carol, Nephew Brian Clouse and their families and is most proud to be the father of three – Lauren – with husband Mike – Heather Halperin and with his beautiful and loving wife Silvana, their son Maddox.